How would you like to be able to offer your customers thousands of quality products, across a broad spectrum of markets, instantly? Welcome to Trademark Commerce. 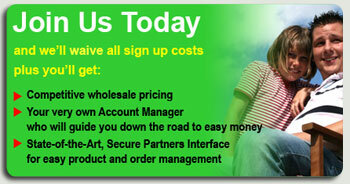 Reach millions of customers with quality products, at competitive prices. Become a Partner today, and grow your business! Want to know more? Take a look inside!